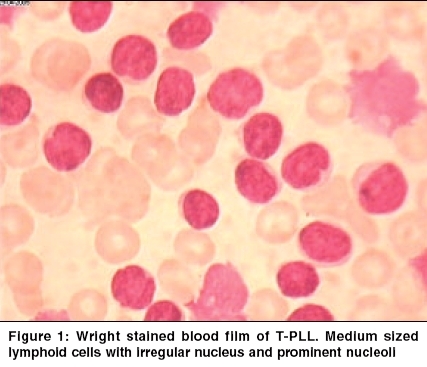 BACKGROUND: The testes have been considered a sanctuary site for leukemic cells and testicular relapses used to account for a major proportion of the poor outcome of boys with acute lymphoblastic leukemia. With use of aggressive chemotherapy which includes intermediate or high dose methotrexate, the incidence of testicular relapses has declined. However once these patients have received cranial irradiation as a part of the front line protocol, high dose methotrexate needs to be avoided because of risk of developing leucoencephalopathy. AIM: To study the use of non cross resistant chemotherapeutic agents along with a regimen containing lower doses of methotrexate in patients of isolated testicular relapse (ITR). 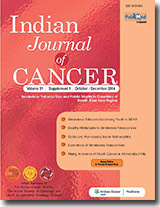 MATERIALS AND METHODS: This is a retrospective analysis of 12 consecutive patients with ITR treated with modified version of the CCG-112 protocol which consists of intensive systemic chemotherapy, cranial chemoprophylaxis along with testicular irradiation. RESULTS: One patient died of regimen related toxicity. Two patients relapsed in the bone marrow during maintenance. Of the nine patients who completed treatment, eight are alive and in remission. One patient had a bone marrow relapse two months after completing treatment. 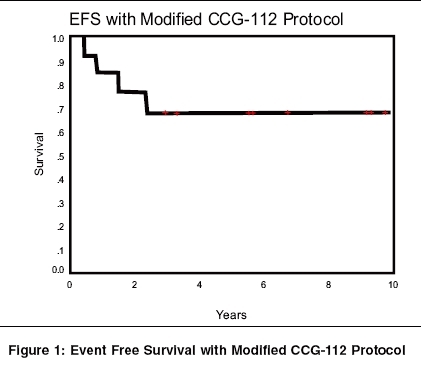 The Kaplan Meier estimates give us an Event Free Survival (EFS) of 66.7% at 10 yrs. CONCLUSIONS: Thus, though the incidence is very low, patients with ITR should be treated aggressively since they have an excellent chance of achieving a long term EFS. BACKGROUND: Tumor regression parameters and time factor during external radiotherapy (EXTRT) are of paramount importance. AIMS: To quantify the parameters of tumor regression and time factor during EXTRT in cancer cervix. SETTINGS AND DESIGN: Patients, treated solely with radiotherapy and enrolled for other prospective studies having weekly tumor regressions recorded were considered. MATERIALS AND METHODS: Seventy-seven patients received 50Gy of EXTRT followed by intracavitary brachytherapy. Loco-regional regressions were assessed clinically and regression fraction (RF) was represented as RF = c + a1D + a2D2- a3T, with c, D and T as constant, cumulative EXTRT dose and treatment time respectively. STATISTICAL ANALYSIS USED: Step wise linear regression was performed for RF. Scatter plots were fitted using linear-quadratic fit. RESULTS: Coefficients of parameters D, D2 and T were computed for various dose intervals, namely 0-20 Gy, 0-30 Gy, 0-40 Gy and 0-50 Gy. At 0-20 Gy and 0-30 Gy, only the coefficient of D2 was significant (P < 0.001), while both D2 and T turned significant (P < 0.001) at 0-40 Gy. For the entire range of 0-50 Gy, all the coefficients of D, D2 and T showed significance, leading to an estimate of 26 Gy for a1/a2 and 0.96 Gy/day for a3/a1. CONCLUSIONS: As with a/β and g/a of post-irradiation cell survival curves, a1/a2 and a3/a1 represents the cumulative effect of various radiobiological factors influencing clinical regression of tumor during the course of EXTRT. The dynamic changes in the coefficients of D, D2sub and T, indicate their relative importance during various phases of EXTRT. BACKGROUND: Gastric cancer is one of the most common types of cancer and one of the most frequent causes of cancer-related death. The majority of gastric cancers show distant metastasis at the time of diagnosis. At present, there is no general agreement over one standard chemotherapy regimen for metastatic gastric cancer. AIMS: We evaluated the activity and toxicity of the combination of 5-Fluorouracil (5-FU), epirubicin and cisplatin (FEP) in previously untreated patients with metastatic gastric cancer. SETTING AND DESIGN: Medical Oncology Department of Uludag University Faculty of Medicine, Bursa; retrospective study. MATERIAL AND METHODS: Sixty-eight patients received 5-FU 300 mg/m2 on Days 1-5, epirubicin 50 mg/m2 on Day 1 and cisplatin 60 mg/m2 on Day 1, every 4 weeks. A median of 3.5 cycles was administered. The response rate, time to disease progression, survival and toxic effects were analyzed. 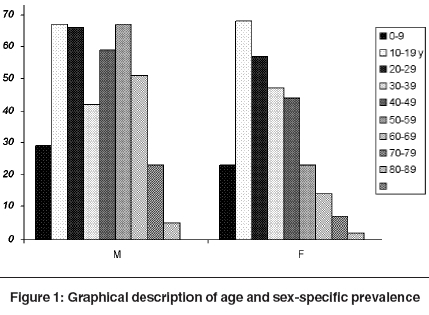 STATISTICAL ANALYSIS USED: Overall survival and time to progression were estimated using Kaplan-Meier method. RESULTS: There were 4 partial responses and 1 complete response (overall response rate 7.3%); 16 patients had stable disease. Median progression-free and overall survival rates were 3.1 months (95% CI 1.9-4) and 6 months (95% CI 4.2-7), respectively. The principal toxicity was myelosupression. Grade 3-4 neutropenia occurred in 27.9%, anemia in 17.6%, and thrombocytopenia in 11.7% of patients. Non-hematological toxicity was mild and manageable. CONCLUSIONS: We concluded that FEP combination as used at the doses and schedules in this study has inferior activity against metastatic gastric cancer. BACKGROUND: Pan masala is a comparatively recent habit in India and is marketed with and without tobacco. Advertisements of tobacco products have been banned in India since 1st May 2004. The advertisements of plain pan masala, which continue in Indian media, have been suspected to be surrogate for tobacco products bearing the same name. The study was carried out to assess whether these advertisements were for the intended product, or for tobacco products with same brand name. MATERIALS AND METHODS: The programme of a popular television Hindi news channel was watched for a 24-h period. Programmes on the same channel and its English counterpart were watched on different days to assess whether the advertisements were repeated. The total duration of telecast of a popular brand of plain pan masala (Pan Parag) was multiplied by the rate charged by the channel to provide the cost of advertisement of this product. The total sale value of the company was multiplied by the proportion of usage of plain pan masala out of gutka plus pan masala habit as observed from a different study, to provide the annual sale value of plain pan masala product under reference. RESULTS: The annual sale value of plain Pan Parag was estimated to be Rs. 67.1 million. The annual cost of the advertisement of the same product on two television channels was estimated at Rs. 244.6 million. CONCLUSION: The advertisements of plain pan masala seen on Indian television are a surrogate for the tobacco products bearing the same name. Neuroendocrine tumors, including carcinoids account for less than 1% of gastric tumors. Various subtypes of gastric carcinoids have been reported earlier. The present case deals with two unusual presentations, diagnosis and course of a gastric neuroendocrine tumor in an adult patient. A 35-years-old male initially presented with gastric outlet obstruction for an antral growth in the emergency ward. He underwent radical gastrectomy and was diagnosed with a gastric carcinoid tumor, on histopathology. After 6 months, he developed hepatic along with nodular cutaneous lesions over the scalp. 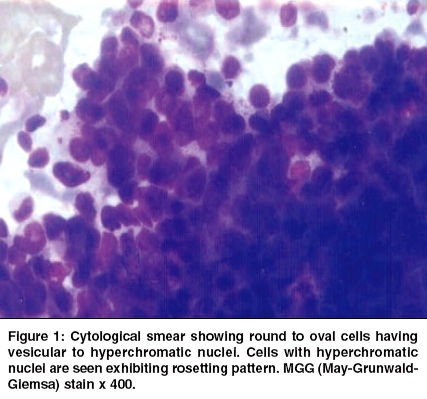 Aspiration cytology (FNAC) from these metastatic lesions showed two distinct cell types with rosette formation. Ultrastructural findings showed neurosecretory granules in some cells. Subsequently, he underwent 2 cycles of chemotherapy. After a total duration of 9 months, he finally succumbed to the disease. We present a case of a gastric adenocarcinoid tumor, with 2 rare presentations. The metastatic lesions exhibited neuroendocrine features on cytology and electron microscopy. Non-metastatic neurological disease complicating neuroblastoma is well recognized. Gross papilloedema in the absence of intracranial disease as initial manifestation of neuroblastoma is reported in adults. We report for the first time a case of bilateral papilloedema in a child with neuroblastoma in the absence of intracranial disease and hypertension.